SmartSensors are a comprehensive set of environmental sensors, engineered to facilitate easy deployment while providing the most accurate data and insight to your operation. When mission critical IT hardware is your responsibility, it’s important to be aware of any environmental hazards that could impact or jeopardize the performance and life of your IT assets. SmartSensors enable you to instrument your white space environment with the latest sensor technology directly from any Xerus enabled controller. The sensors provide real-time environment alerts, notifying you immediately when something is astray, increasing the response time to remediate any critical risks. You can easily recognize hot spots, optimally cool equipment, and prevent costly downtime. 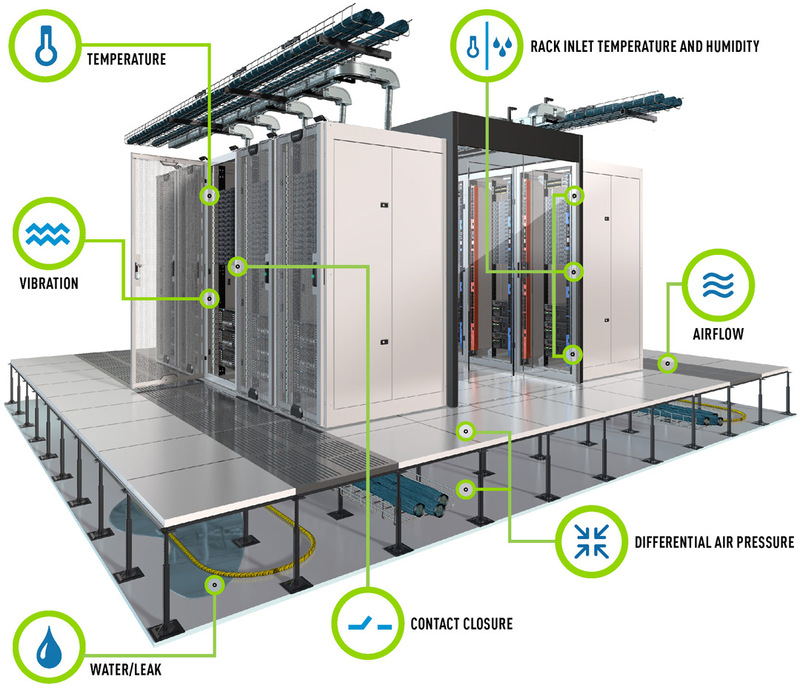 SmartSensors enable a seamless connection directly to your existing rack power infrastructure providing a faster, easier deployment with substantial cost savings. Have a worry-free deployment knowing the sensors can easily retrofit into any Raritan or non-Raritan power infrastructure. With the highest-level metering accuracy in its class, providing better insights for smarter actionable decisions. The sensors benefit from the latest, most high-tech metering components, with a MTBF of more than 20 years per internal chipset and delivers the highest metering accuracy at +/- 0.5°C for temperature sensors, +/-1.8% for relative humidity. SmartSensors are plug-and-play ready with Raritan’s PX intelligent rack PDU series, EMX smart rack controllers, PX inline meters, rack transfer switches, and branch circuit monitors making it incredibly easy to install and deploy quickly without disrupting operations. SmartSensors feature RJ45 connectors with removable sensor heads making it easy to facilitate deployment and connection to existing racks. The RJ45 sensor head allows you to disconnect and reconnect the sensor without having to rewire the rack, saving on maintenance costs. Offering the highest flexibility of deployment, SmartSensors can be deployed in a cascade of up to 32 sensor heads in-a-row, linked with standard CAT5/6 cables. Making it easier to plan where sensors are deployed into the cabinet and easy to instrument entire rows of your data center with different types of sensors through a single control device. The DX-VBR detects vibrations such as earthquakes and damaged fans, along three axes (x, y, z). The DPX-WSF-KIT, DPX-WSC-35-KIT, and DPX-WSC-70-KIT sensors monitor leaks on the floor, around an area, on liquid cooled racks, and can detect condensation. The DX2-T3H1 strings together 3 sensor heads, making it easy to mount them at the bottom, middle, and top of the cool air inlet side as per ASHRAE2 guidelines. The DPX-AF1 can meter airflow in plenum space, such as under a raised floor or just above the perforated tiles. The DPX-T1DP1 meters differential air pressure above and below a raised floor, or between hot aisles and cold aisles to prevent thermal leaks. DX2-CC2 dual contact closure is used with third party sensors, and integrates with data center smoke detectors to monitor risky conditions and aggregate data through Raritan Xerus Platform. 1. Additional temperature and humidity sensor options are available. 2. The American Society of Heating, Refrigerating and Air-Conditioning Engineers (ASHRAE) recommends measuring the cool air entering IT equipment near the bottom, in the middle, and near the top of each IT rack.